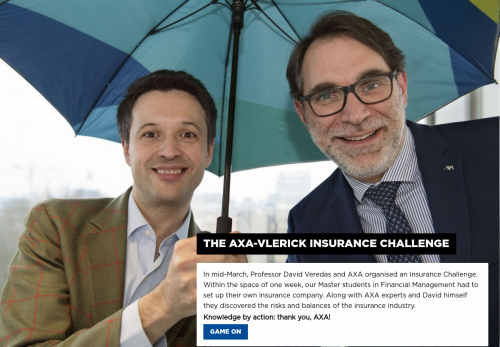 In mid-March, Professor David Veredas and AXA organised an Insurance Challenge. Within the space of one week, our Master students in Financial Management had to set up their own insurance company. Along with AXA experts and David himself they discovered the risks and balances of the insurance industry. Knowledge by action: thank you, AXA!